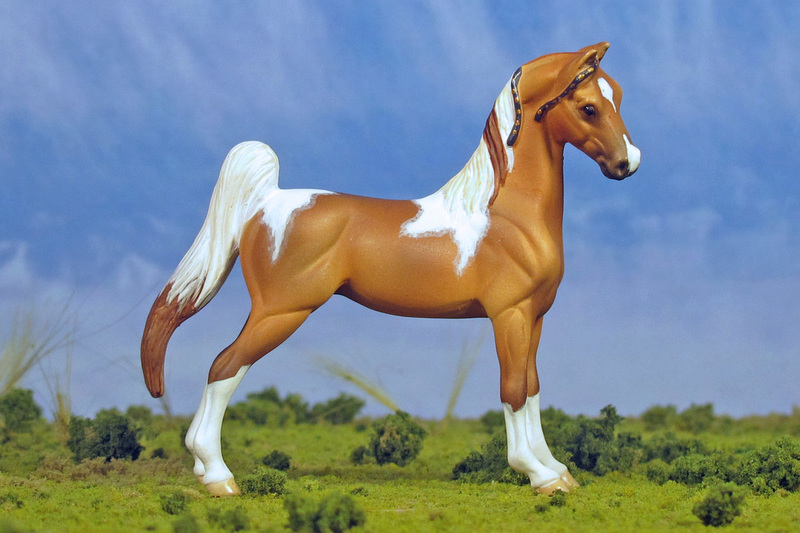 The name may not exceed 35 characters, including letters, spaces and punctuation. 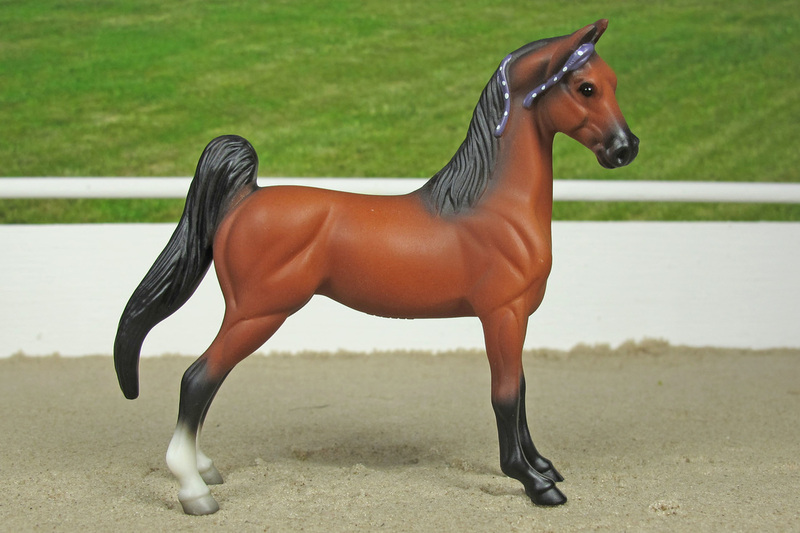 e. Initials added as a prefix or suffix to a name already in use, e.g. 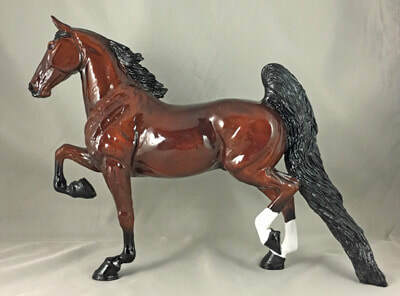 Wing Commander G.G. 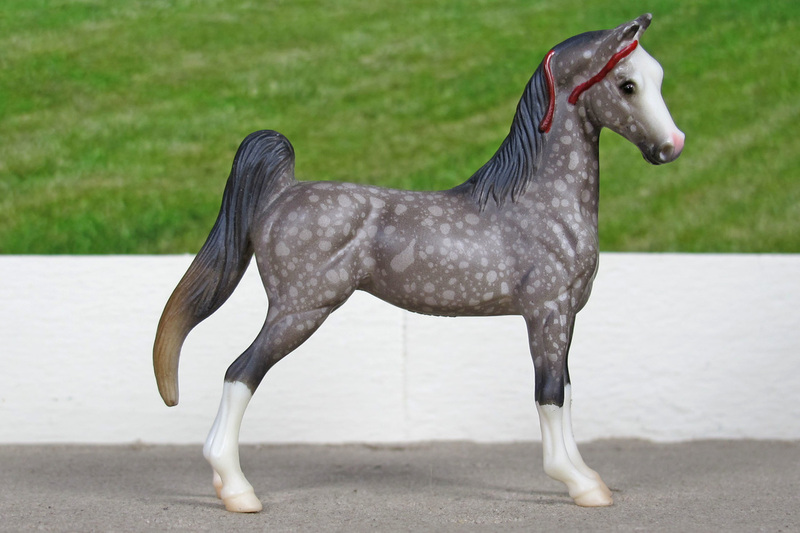 (Drum Major X Sky Princess) 2005 Bay Tobiano - Lines to Night Streaker (r), Grape Tree's Fox (r), and CH Courageous Admiral. 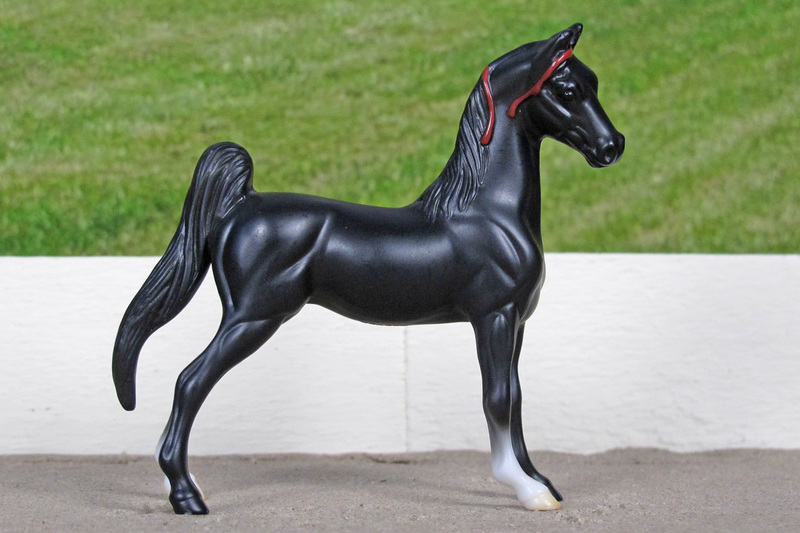 (CH Night Prowler (r) X Happy Twenty-First (r); New Yorker (r)) 1989 Bay - Lines to Status Symbol; Anachacho Empre; New Yorker; and Supreme Spirit. 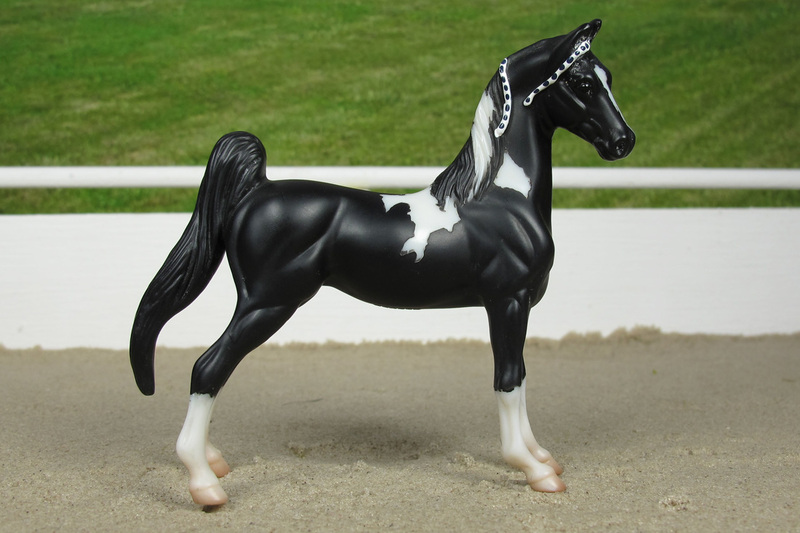 (Sultan's Great Day (r) X Astra Music (r)) 1990 Black Tobiano - Lines to Chubasco, Wingmaster, Supreme Sultan, and Stonewall Supreme. 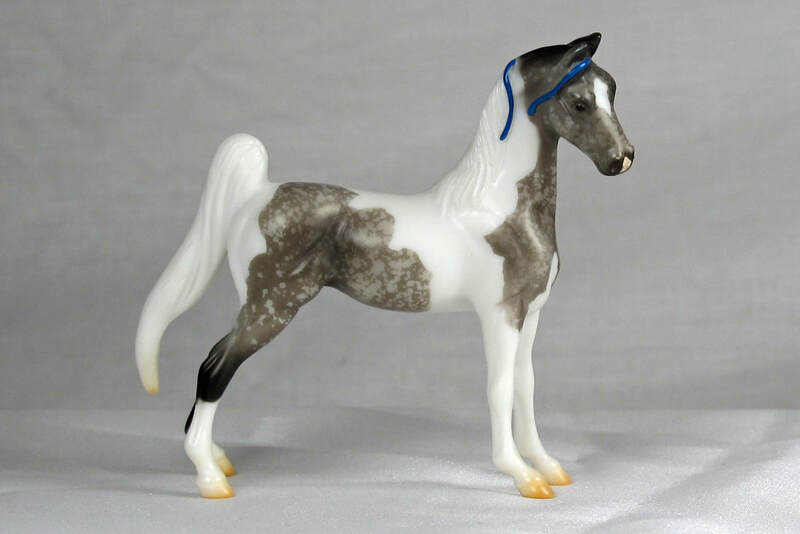 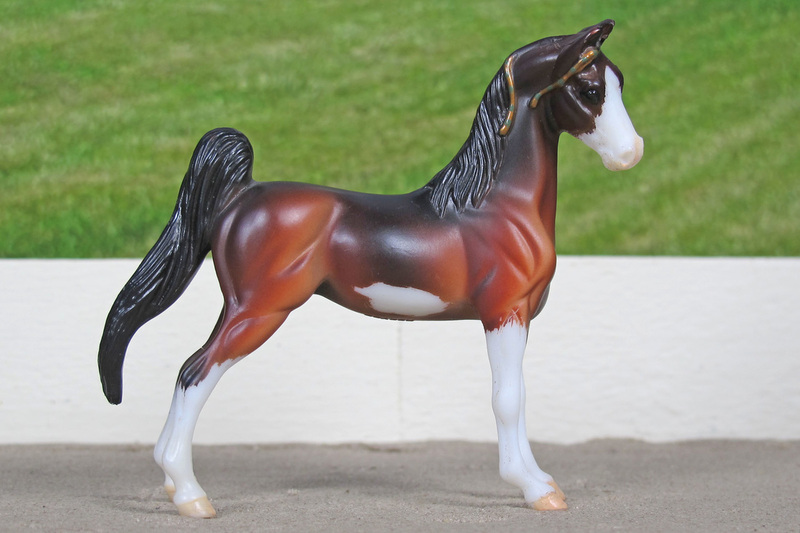 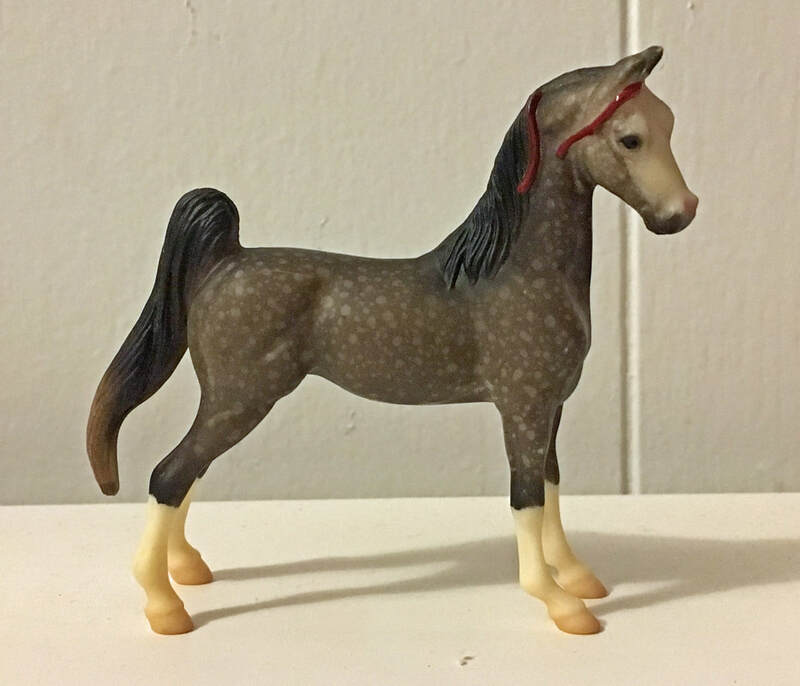 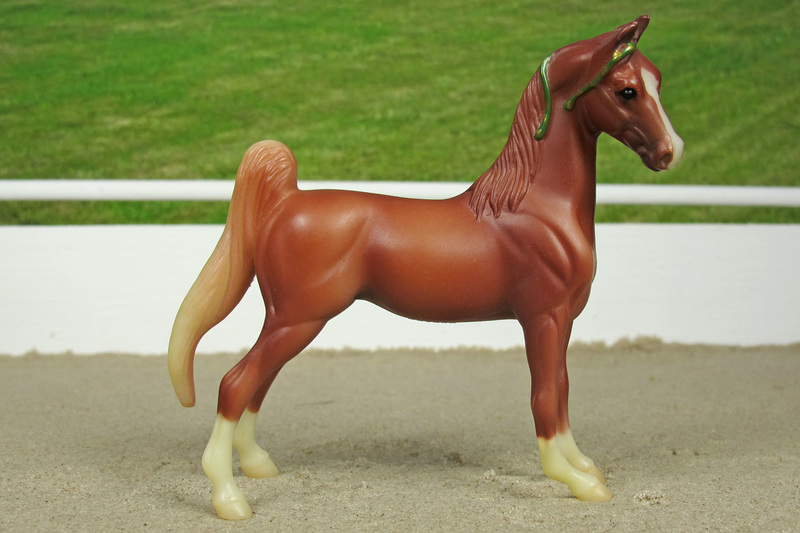 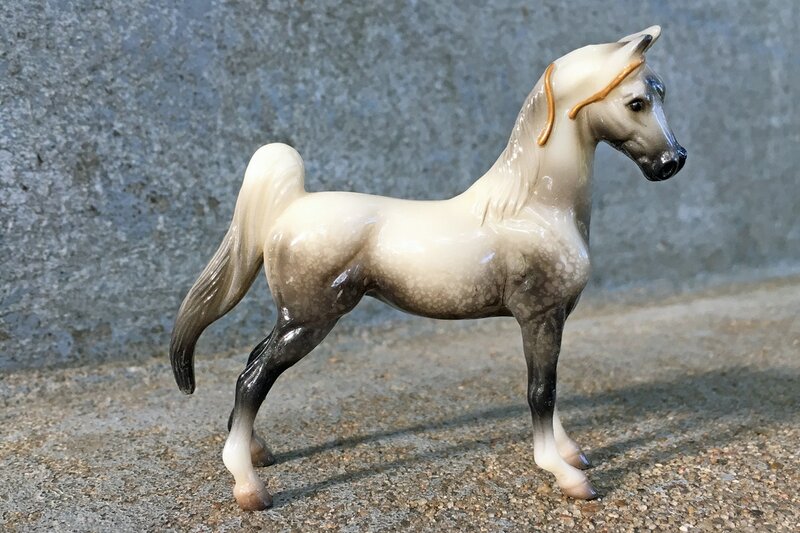 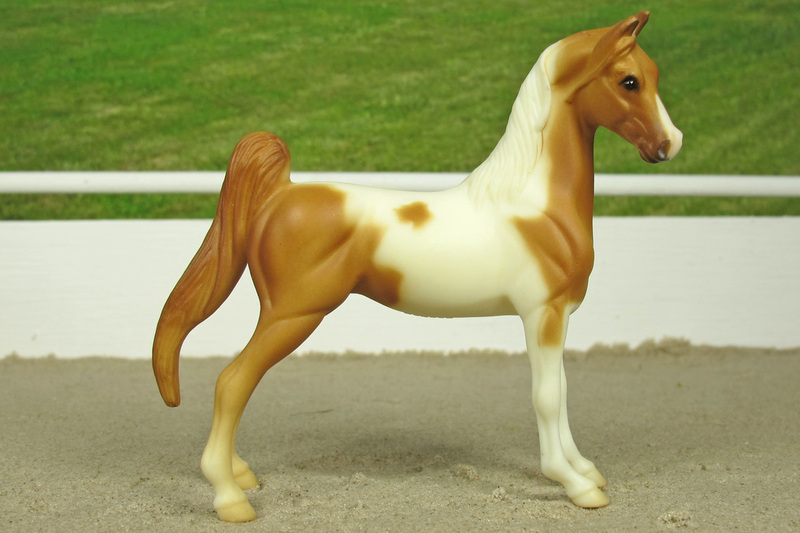 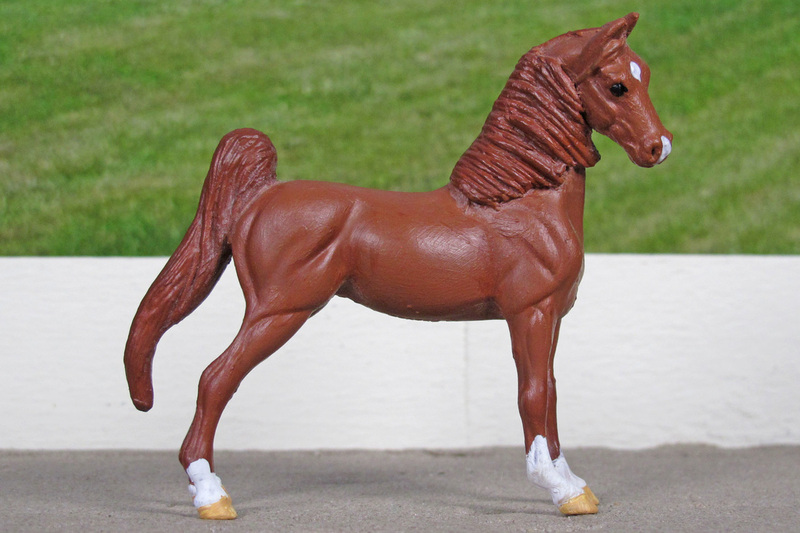 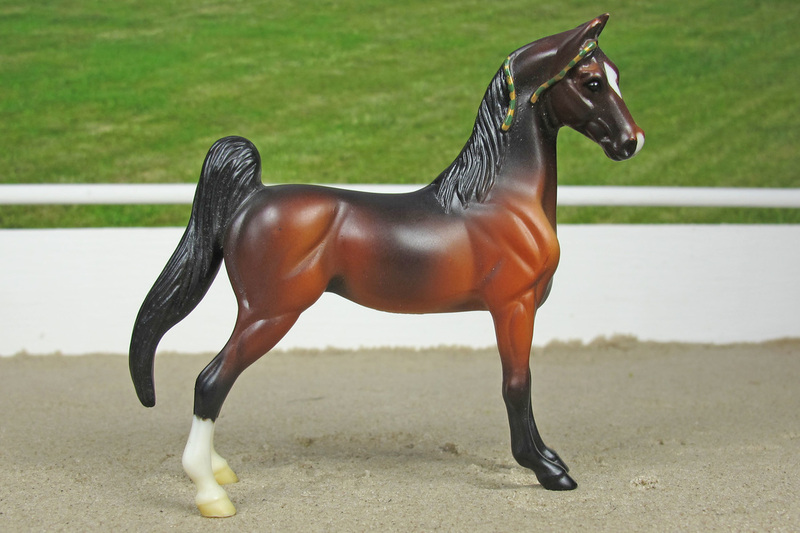 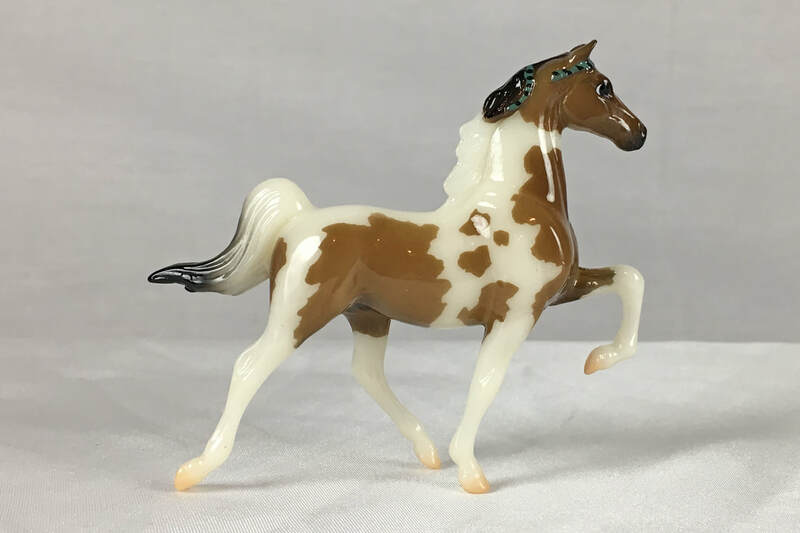 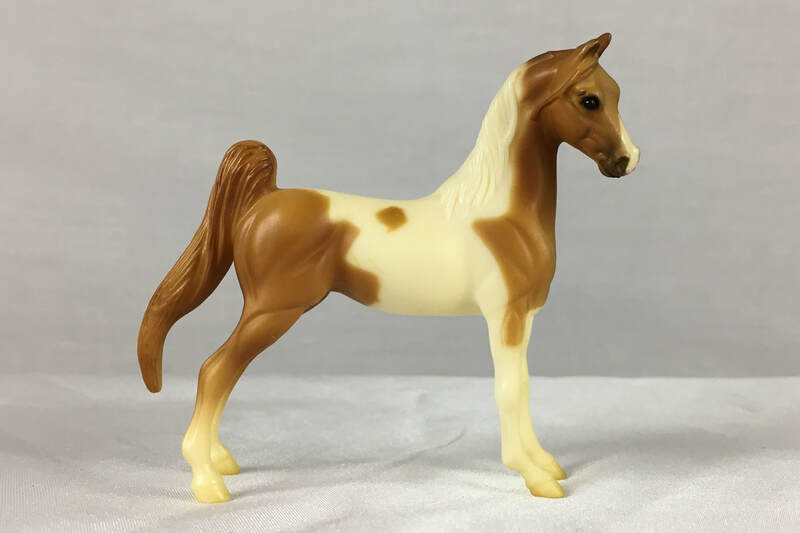 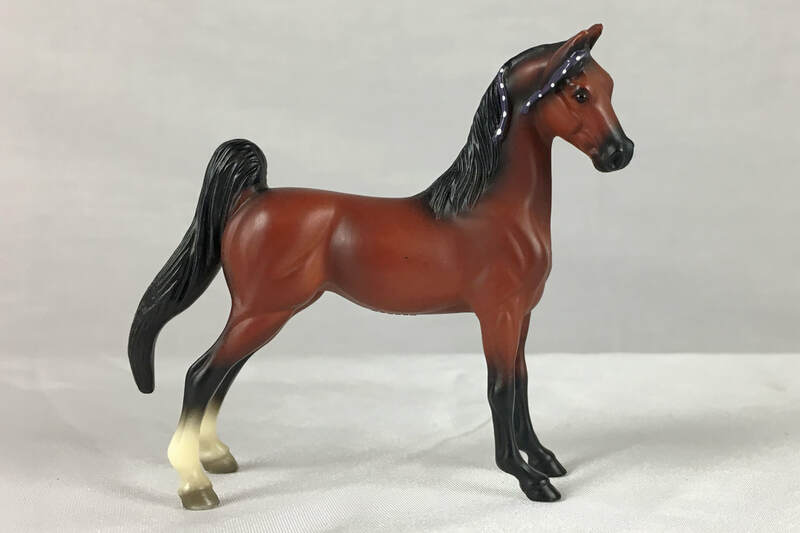 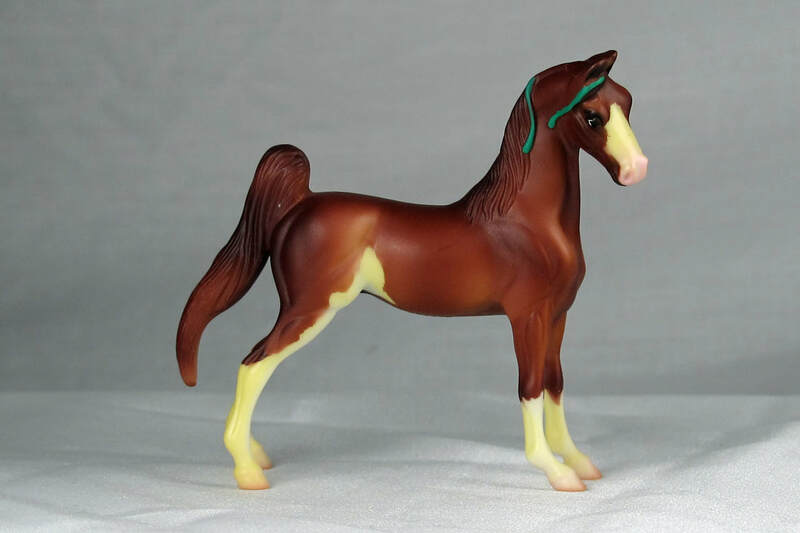 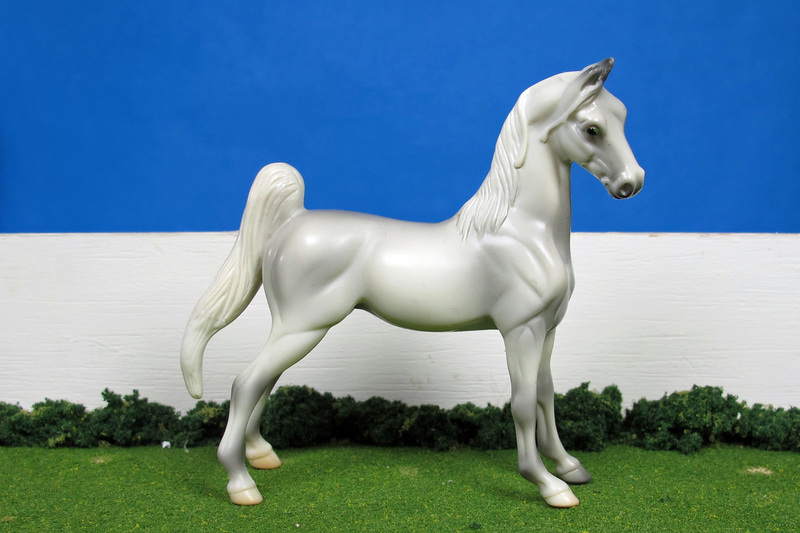 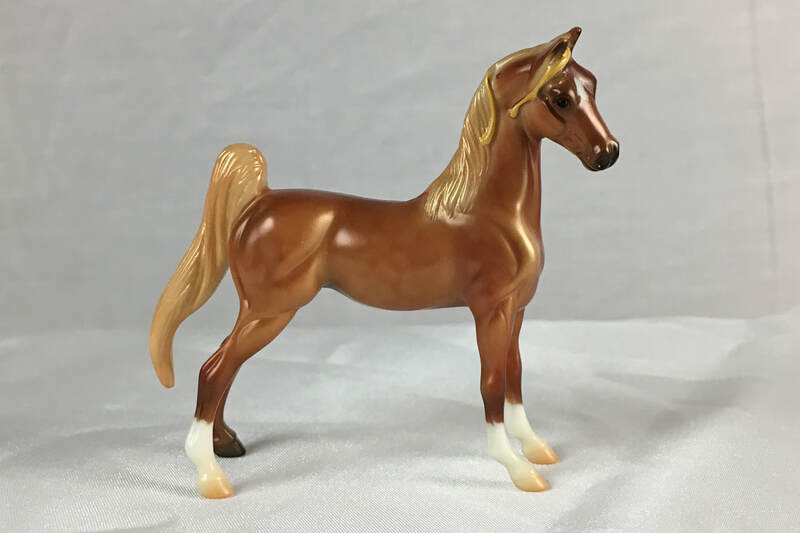 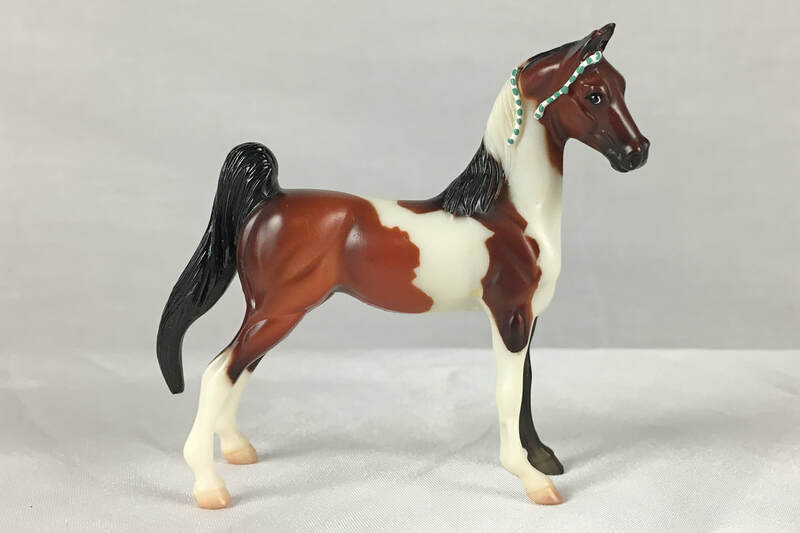 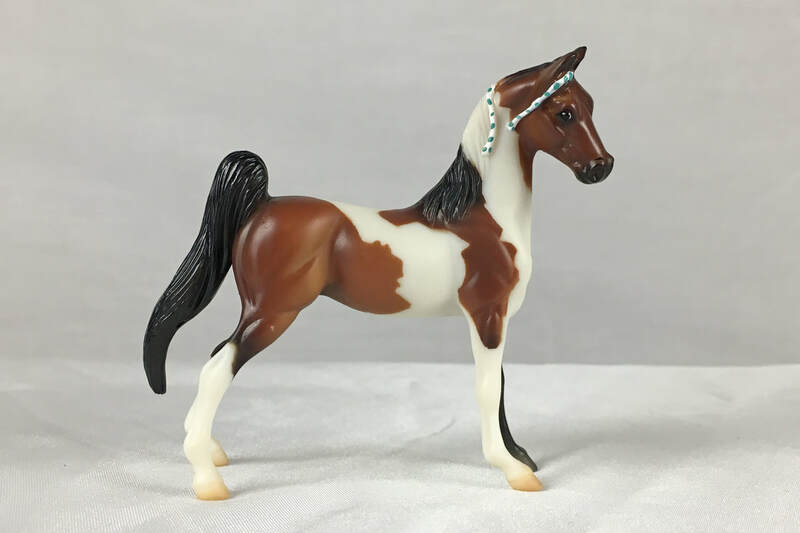 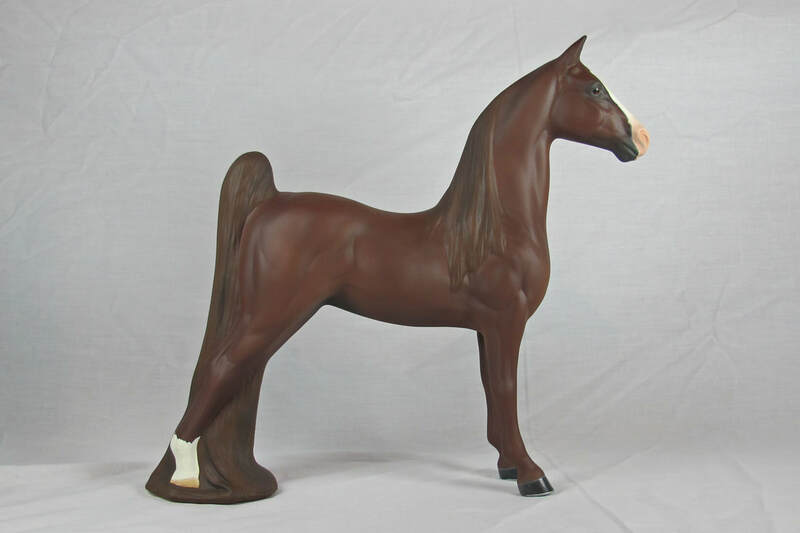 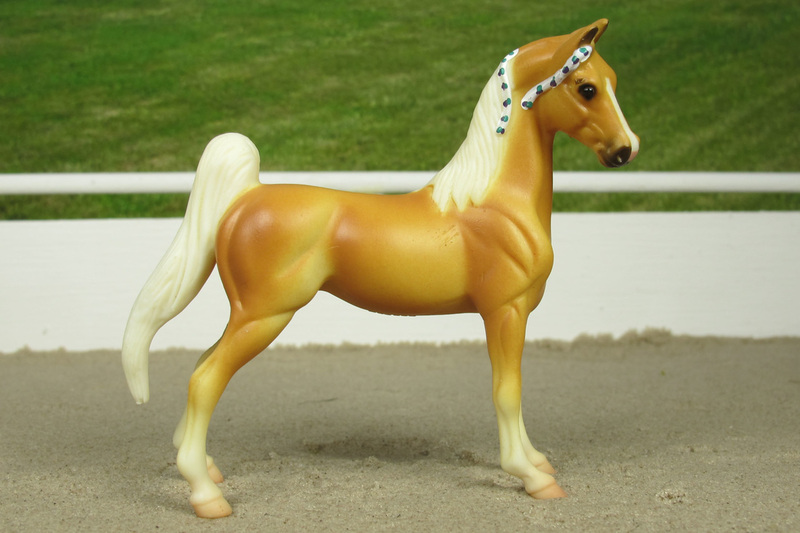 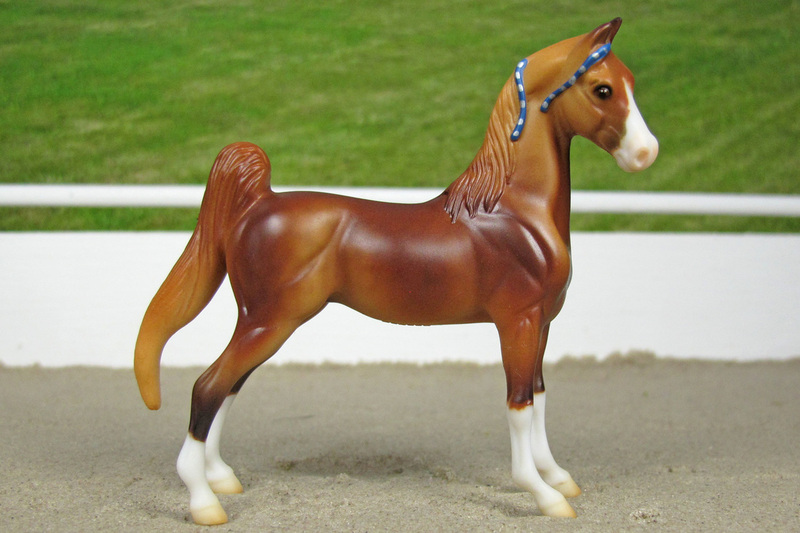 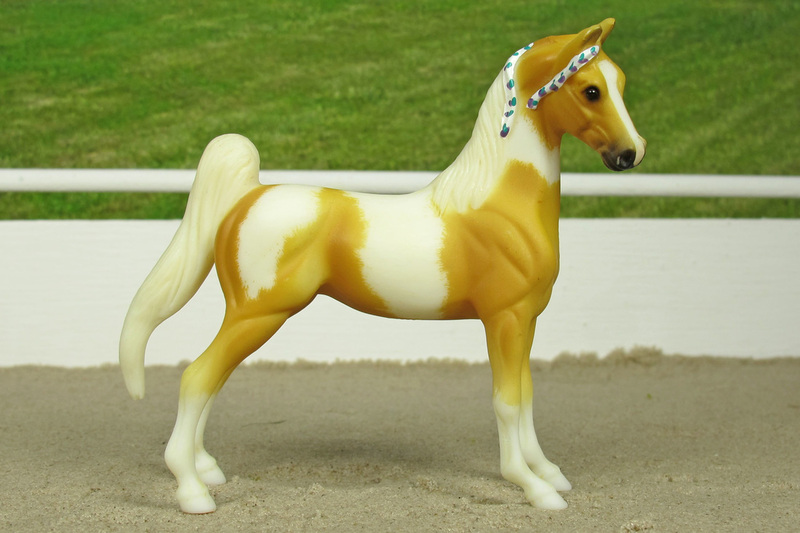 (Smooth Romantic X American Regal; Tennessee Blues) 1996 Bay Roan Tobiano - CM SM ASB by D. Williams - Lines to Genius Burbon King; CH Wing Commander; and Society Rex - hast mostly models lines up close, but all trace to real horses. 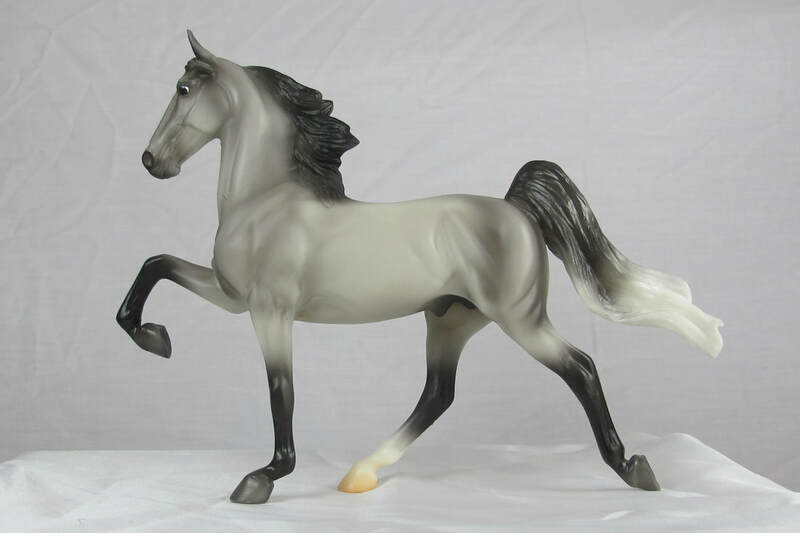 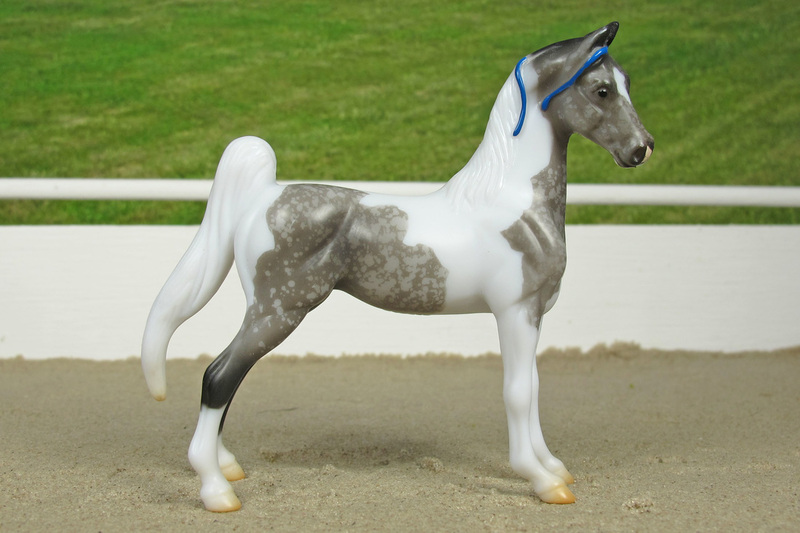 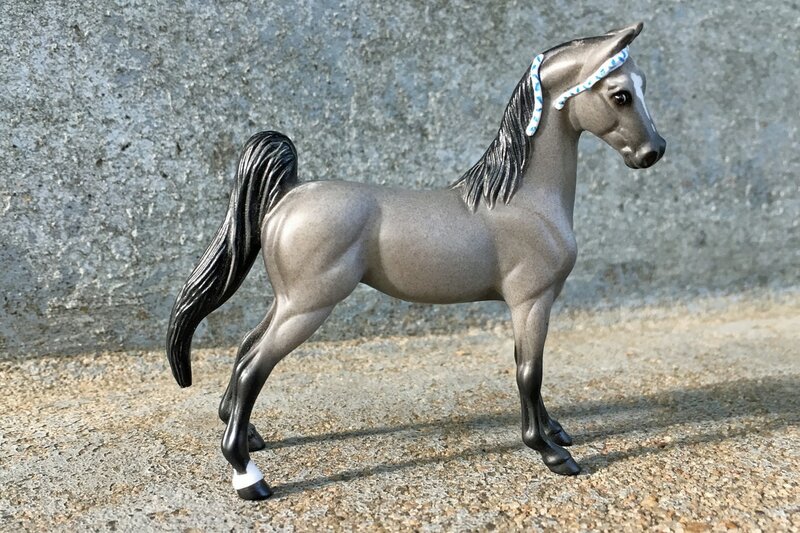 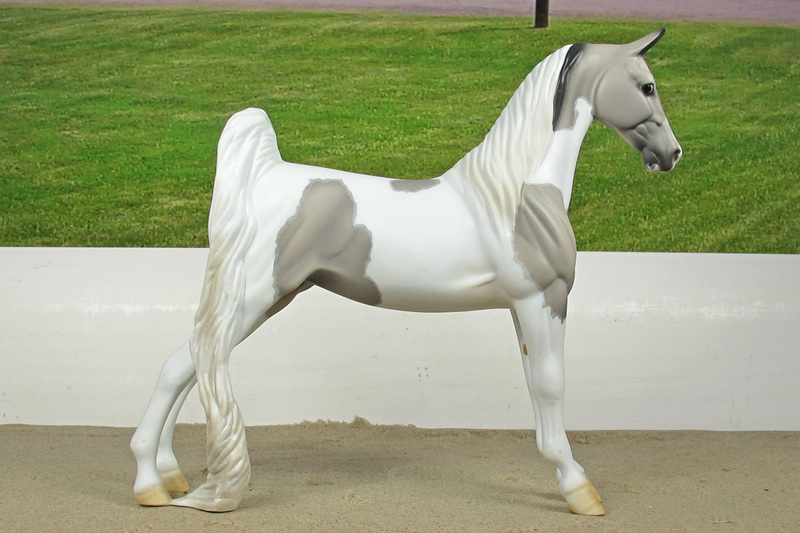 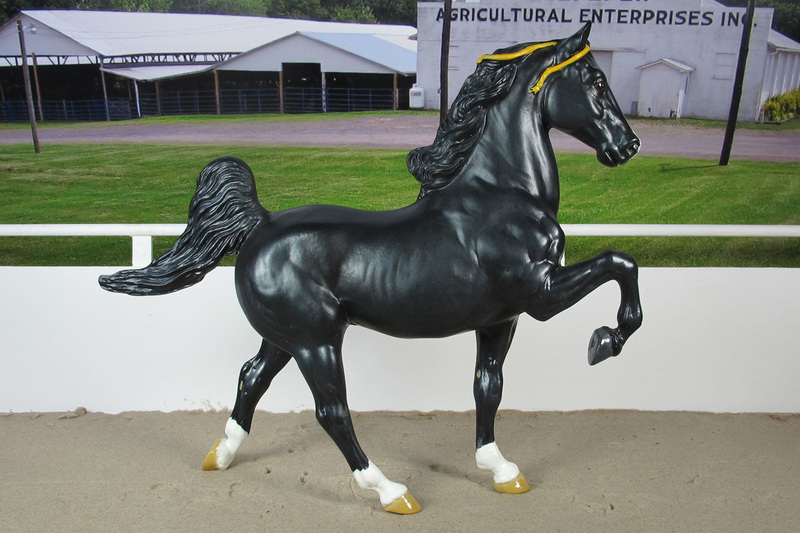 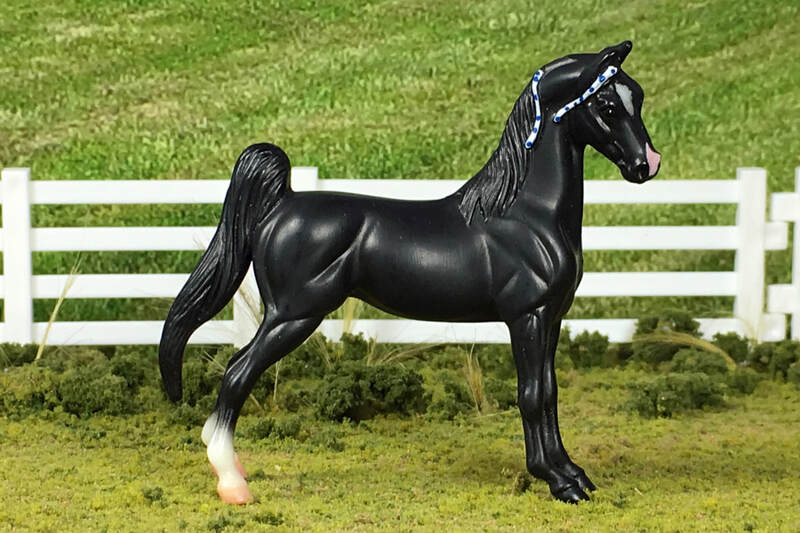 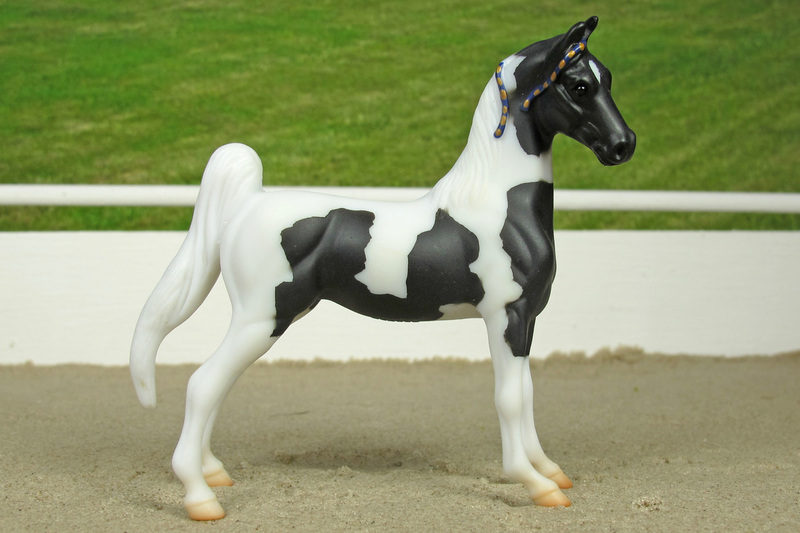 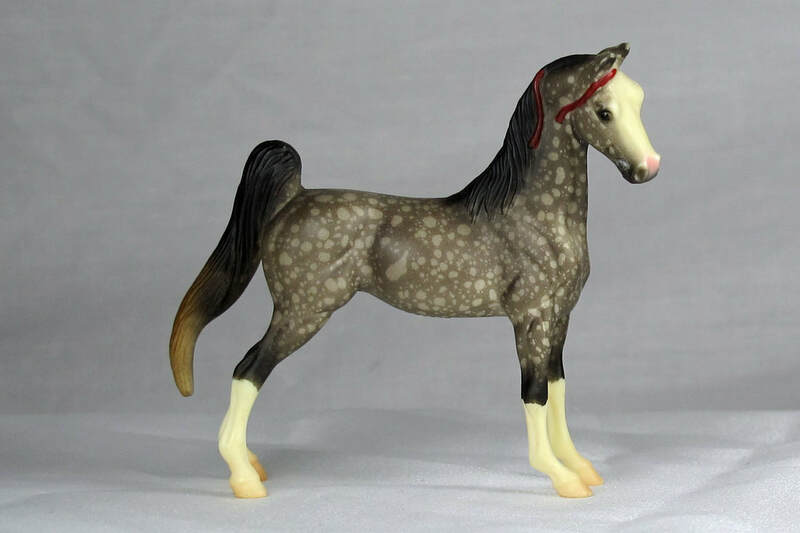 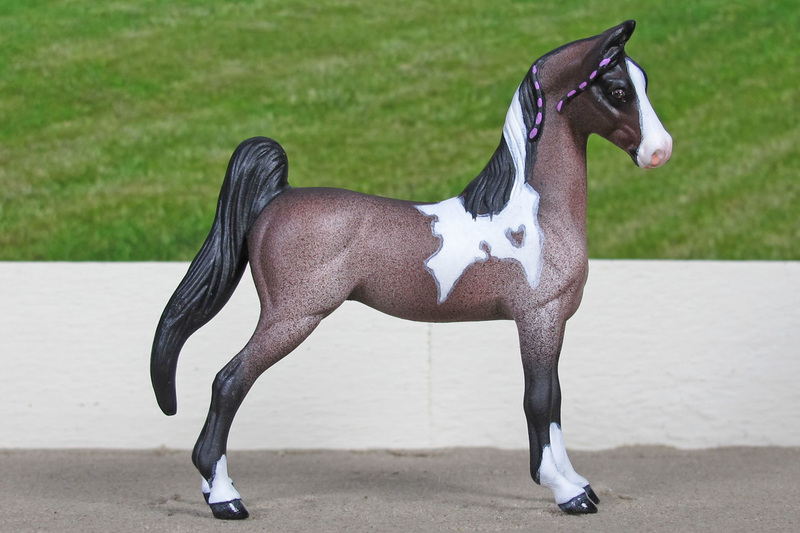 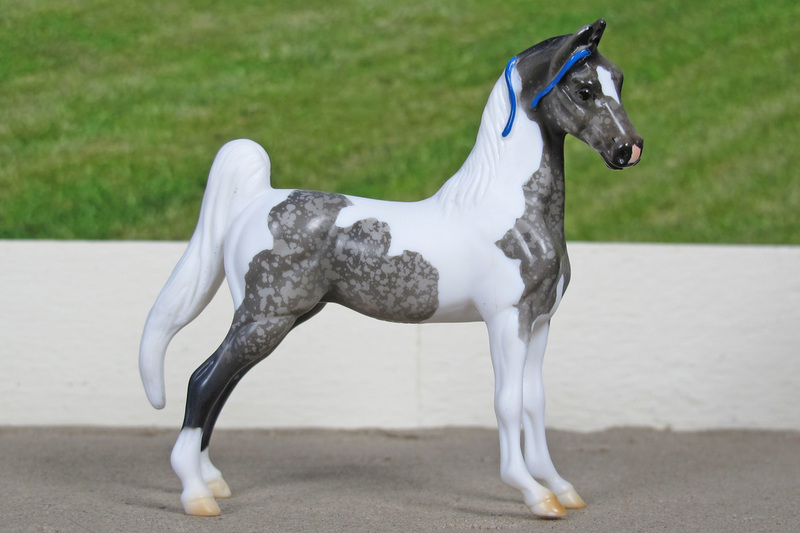 (Smooth Romantic X SV Mystic Dream) 1996 Grey Tobiano (Black) - 4 generation model bred with lines tracing to real horses. 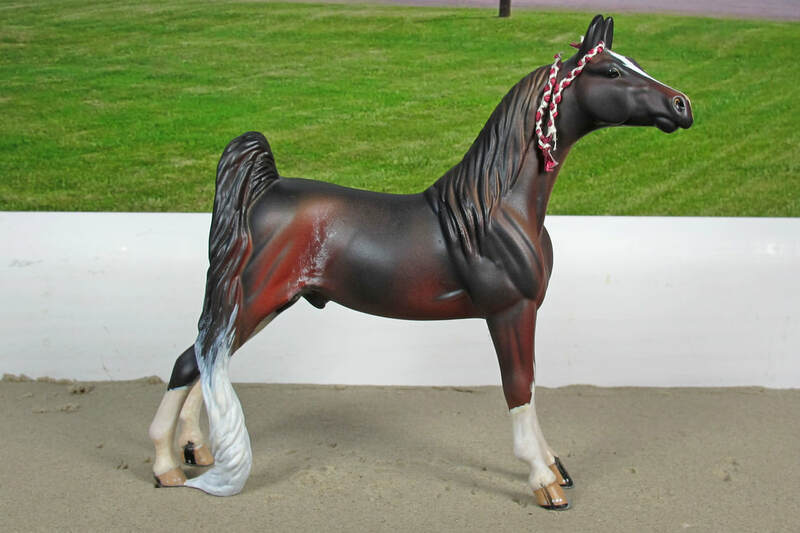 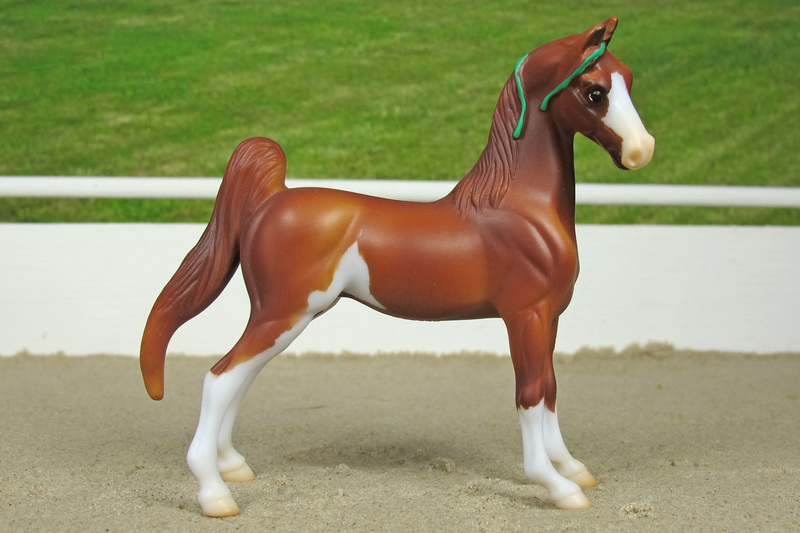 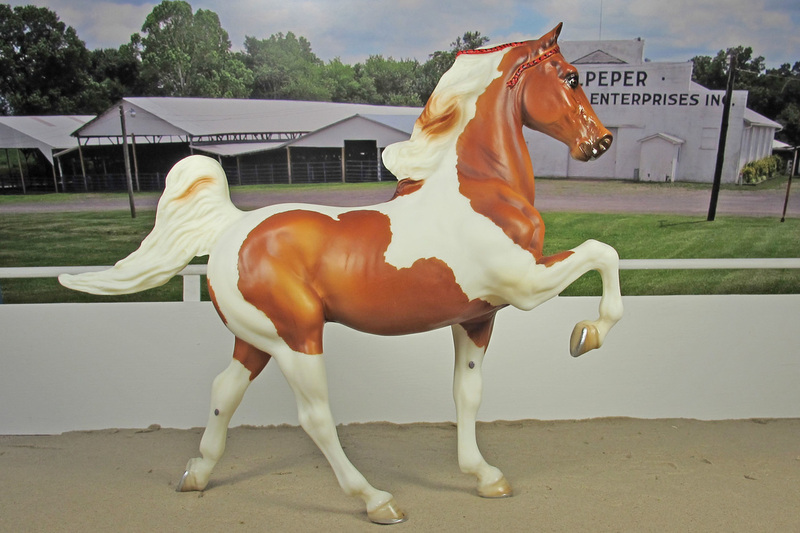 (Sultan's Great Rigby X Caramel Candi Apple) 2000 Chestnut Tobiano - Lines to Sultan's Great Day, Buck Rogers, Will Shriver, and Fountain of Youth.